Net neutrality rules are a hot topic in Washington as the new head of the Federal Communications Commission (FCC) has begun work to undo some of the burdensome regulations instituted by his predecessor. Now, everyone – including celebrities – are coming out in droves to protect President Obama’s tech/communications legacy. "It seems that the Trump era will basically control-Z everything that happened on Obama's watch," Oliver said by way of introduction. "I genuinely would not be surprised if one night Trump went on TV just to tell us that he personally killed every turkey that Obama ever pardoned." And after watching the show, you would think Pai is a weed-whacking serial killer who is hovering outside your window and who drinks from a really big coffee mug. Jokes aside, what Pai is trying to accomplish is an important step in scaling back the overreach of the previous FCC chairman. 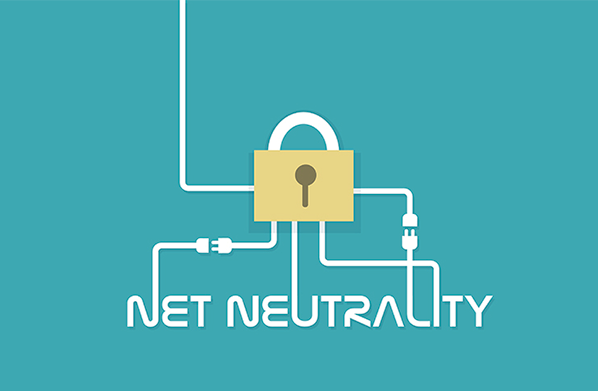 As we’ve reported, the FCC announced a plan late last month to reverse net neutrality rules by ending the reclassification of internet service providers such as Comcast and Verizon as utilities under Title II of federal law. That classification gave the FCC the power to control what broadband internet providers could charge customers and how they manage web traffic to different websites. Pai points to evidence that infrastructure investment declined as a result and posits that this scale back will allow them to expand their investments in the future. It’s important to note that Pai agrees with the underlying principles of net neutrality but not the power grab by his predecessor. That has not stopped net neutrality advocates from pushing a different narrative. "So sadly, it seems once more we the people must take the matter into our own hands," Oliver said. "Because the FCC are again going to invite public comment on their website — and conveniently for them, the process is actually a lot more complicated this time than it was three years ago." This is not the first time Oliver used his show to drive civic action on net neutrality. Back in 2014, he prompted viewers to leave thousands of comments in support of the net neutrality rules. On Sunday evening and Monday morning, the public flooded the comment section and the FCC website crashed, which many attribute to Oliver’s show. The FCC disputes that saying the website was hit by a cyber attack at about the same time. Now, even Congress is weighing in on the website crash. Two Democratic senators, whose opposition to Pai’s proceedings are pretty well known, are now demanding to know more about the cyber attacks that crippled the commenting system. Let’s not allow the website commenting breakdown to be a distraction from the overall issue. What Chairman Pai is aiming to do with net neutrality is the right move. Despite efforts to portray this otherwise, the internet is not a utility like water and should not be classified as such. To stay informed and competitive, all Americans should have access to high speed internet, but the net neutrality rules in practice had a chilling effect on providing infrastructure investments – even if that wasn’t the intention. What the net neutrality rules boiled down to was an open door for a federal agency to "touch every corner of the internet" in the words of Senator John Thune. No jokes about it, despite what we're hearing from comedians and activists, we need to reverse net neutrality.